Morton, Berry E. “Education in Viet Nam.” Contemporary Education 45, no. 3 (1974): 201-208. This article examines in detail the growth of South Vietnam’s education system during the nation’s lifespan. From the evidence presented, one will learn that from the nation’s birth in the 1950s up to 1974 when this article was written, South Vietnam’s education system achieved exponential advancement that was nothing short of extraordinary. From elementary, through secondary school, all the way to post-secondary, South Vietnam invested heavily in its education, increasing rapidly its number of schools, student enrollment, as well as its teaching staff, with the active support and assistance both from friendly nations and international organizations from all over the world (p.202). Morton’s article is filled with valuable statistics and information. This brief entry will only highlight a few, to illustrate just how much value South Vietnam placed on the educational development of its people. Notable points presented by Morton include South Vietnam’s vast expansion in higher education. According to Morton, “there were no colleges or universities in all of South Vietnam” in 1954. However, by the 1973-74 academic year, South Vietnam had established nine universities, and enrolled a total of 86,000 students to these institutions (p. 201). Moreover, by that same 1973-74 academic year, South Vietnam had also developed “sixteen post secondary two-year teacher training schools, enrolling 9,000 elementary teachers in training; plus two newly operational junior colleges which are part of the recently planned system of two-year post secondary institutions,” (ibid). At the top of South Vietnam’s priority list was the development of its elementary schools (p. 202). “In 1954,” Morton explains, “there were 8,191 elementary classrooms scattered throughout the nation; very few classrooms were built between 1954 and 1960,” (ibid). With the South Vietnamese government’s investment in education, a staggering 17,000 classrooms were added by the 1970-71 academic year, “making a total of approximately 25,500 classrooms… housing 2,490,246 elementary students,” (p. 203). In 1956, there were 69,700 students enrolled in the nation’s secondary schools. By 1960 this figure had increased to 165,000 students or about six percent of the youth of secondary school age. By 1970 this figure had increased to 710,541 or about twenty-one percent and during the 1973-74 academic year the total secondary school enrollment is 1,062,000 or about twenty-eight percent of the population group (p. 205). These statistics of the rapid increase in secondary schools is an indicator of South Vietnam’s success in overhauling its system for schooling youth of the adolescent age group. As a whole, the information presented thus far, regarding the whole South Vietnamese educational system, from elementary all the way to post-secondary, presents a clear representation of the South Vietnamese nation’s emphasis on education, improvement in the quality of life, and the development of its people. Another interesting point worth noting from Morton’s source is that in South Vietnam, education for the nation’s public universities is free (p. 206). In addition to this, it is also noteworthy that education ranks second among the desires of the South Vietnamese people, with “security from insurgency” ranking first (p. 201). Morton’s article is lengthy and detailed, containing many more relevant information and statistics regarding South Vietnam’s educational development. This brief annotated bibliographic article only presents some notable highlights. In all, the information presented here should demonstrate South Vietnam as a nation that greatly valued education, and went to all the possible lengths to deliver education to its people. Crawford, Curtis. “South Vietnam’s Economy – A Note.” Vietnam Perspectives 1, no. 4 (1966): 14-16. This is a brief article by Curtis Crawford, written during the Vietnam War years in 1966. With statistics included, the article encapsulates the strong economic growth that South Vietnam was experiencing between 1955 and 1960 under President Diem. Some notable points from the article include the fact that from 1955 to 1960, South Vietnam’s “per capita food production rose substantially,” with the total crop production overtaking that of the country’s prewar levels. Moreover, Crawford’s article dispels earlier statistics given by Bernard B. Fall, whose findings are reported and proven by Crawford to be “grossly inflated” and distorted in ways that fail to represent the real growth experienced by South Vietnam’s economy. Although compact, Crawford’s source gives a concise and statistical illustration of the South Vietnamese economy. In the context of understanding South Vietnam’s economic strength during its existence, Crawford’s article demonstrates that the Southern Republic had a robust and vastly developing economy, one that was competitive and highly regarded in the international system. Hubbell, John G. “The Blood-Red Hands of Ho Chi Minh.” Reader’s Digest, November 1968. http://www.lzcenter.com/Documents/The%20Blood-Red%20Hands%20of%20Ho%20Chi%20Minh.pdf. (accessed May 24, 2015). Written in 1968, John G. Hubbell provides invaluable documentation of the crimes against humanity that Ho Chi Minh committed on the people of North and South Vietnam throughout the Vietnam War. As explained by Hubbell, these massacres perpetrated by both the regular forces in the North, and the Viet Cong guerillas in the South, were not isolated incidents, but actually part of Ho Chi Minh’s official policy. The brutality of these actions resulted in countless bloodbaths, and, as the author will illustrate, is nothing short of genocide. Under Ho’s command, the Viet Cong unleashed a wave of slaughter on the people of South Vietnam. The Viet Cong guerillas, oftentimes assisted by the regular Northern forces, conducted a massive terror campaign against the Republic of Vietnam, subjecting the people of the South, both soldiers and innocent civilians alike, to the most barbaric forms of torture and killing. In the North, regular communist forces carried out savage political purges against their own population. Beginning in 1954, with the consolidation of power by Ho Chi Minh, “virtually every North Vietnamese village” was met with “strong-arm squads” who rounded up the populace for show trials and executions. The first victims were the landowners, but eventually grew to include intellectuals, civic leaders, businessmen, teachers, and others who the communists viewed as potential threats. Beheading, bludgeoning, shooting, stoning, and live burials, were only some of the gruesome forms of killing that the communists imposed on the North Vietnamese population. It is estimated that between 50,000-100,000 people died in these massacres during that time. On March 13, 1959, the leaders in North Vietnam resolved to act against the South. It was from there that VC violence was amped up significantly in South Vietnam, becoming widespread throughout the country. 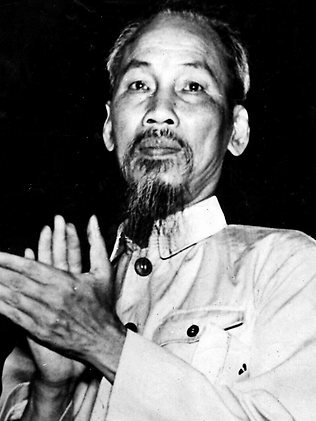 Ho Chi Minh and the North wanted to dismantle the Republic of Vietnam, and sought to do so through terror and violence. Using the VC wing of his communist forces, the Northern dictator authorized those heinous terrorist acts against the people of the Republic of Vietnam, in hopes of breaking the Southern will. However, as the author explains, these atrocities would only push the people closer to the arms of the South. Those whom the communists believed would “rise and fight” alongside them against the Saigon government did “just the opposite,” fighting “like tigers” against Ho Chi Minh’s invading forces at Hue in 1968. Moreover, the institutions that the communists aimed to dismantle, such as the education system of South Vietnam, as well as the voting polls, would only become stronger, growing rapidly as the population presses on and perseveres in defiance of communist brutality. During the war, South Vietnam was heavily criticized for its counter-terrorism measures, which the biased left-leaning U.S. media deemed as harsh and repressive. These characterizations were ill-informed, lacking in context, and heavily in favor of the communists. Understanding the true and horrific nature of the communist terror policy, as Hubbell’s report helps to accomplish, one gains some key perspective on the reasons why South Vietnam was so heavy-handed in dealing with the VC in the South. South Vietnam was facing a major terrorist problem, and had to implement tough countermeasures to effectively defend the state and its citizens from communist terror attacks. Hubbell’s source brings to light those countless cases of communist barbarity, and doing so in great detail. The vivid accounts given by Hubbell illustrates clearly the criminal governance of the dictator Ho Chi Minh, who, as shown, is responsible for the deaths of hundreds of thousands of innocent Vietnamese people, in the North and the South. These deaths were not collateral damage, but the explicit results of the actions performed by the man and his totalitarian state. In addition, Hubbell’s report offers some valuable insight on life in the South, such as the nation’s democratic values and emphasis on education, things that the communists were trying so hard to destroy. Wettemann Jr., Robert P. Review of Kontum: The Battle to Save South Vietnam, by Thomas P. McKenna. Oral History Review 39, no. 2 (2012): 387-389. Thomas P. McKenna served in the Vietnam War as Lieutenant Colonel in the United States Army. During the U.S. drawdown in 1972, McKenna was still fighting alongside the Army of the Republic of Vietnam (ARVN), taking on the invading North Vietnamese Army (NVA) at the Battle of Kontum. His book provides a firsthand account of the fighting at Kontum, where the ARVN and their remaining U.S. allies would once again ward off an invading NVA force three times their size. A concise summary of McKenna’s book is presented in Wettemann’s source. Opening with the steady departure of U.S. forces as part of Nixon’s “Vietnamization” policy, Wettemann’s review of Kontum gives coverage of the various stages of the battle, all the way up to the ARVN’s successful elimination of the NVA from the city. As an academic resource, Wettemann’s review of Thomas P. McKenna’s book provides useful information on the Battle of Kontum, and gives readers some much-needed insight into the points of views of the ARVN and their U.S. allies. 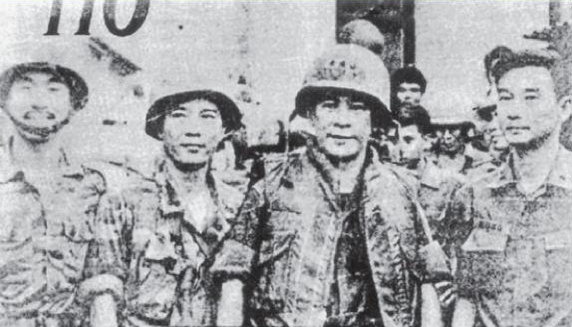 The South Vietnamese soldiers and their American advisors fought valiantly at Kontum to crush the North Vietnamese invasion. In authoring this review, Robert P. Wettemann Jr. helps tell this true story of another understated military success by the allied forces of South Vietnam and the United States. Lester, Gary. Review of Hell in An Loc: The 1972 Easter Invasion and the Battle That Saved South Vietnam, by Lam Quang Thi. Air Power History (2010): 56. Dr. Gary Lester’s review of Hell in An Loc: The 1972 Easter Invasion and the Battle That Saved South Vietnam provides a concise and informative summary of former ARVN General Lam Quang Thi’s book. According to Lester, “Hell in An Loc is an intimate glimpse into the inner workings of the Army of the Republic of Vietnam (ARVN) during its moment of great crisis in the spring of 1972…” It was then that the U.S. was steadily drawing down its forces in Vietnam, while the North Vietnamese built up their forces for an ambitious military operation to overrun South Vietnam. In his review, Lester presents many insightful information from General Thi’s book, such as the details of North Vietnam’s 1972 Easter Offensive, a massive military campaign that was even larger than the Tet Offensive of 1968. The enemy’s “three-pronged” operation would find its way to the town of An Loc, where South Vietnam’s 5th Division, consisting of only 7,500 soldiers, confronted and repelled a 21,000-strong North Vietnamese onslaught. Facing a massive invading force three times their size, the outnumbered ARVN forces incurred losses of 2,300 deaths, while dealing a crushing blow to the North Vietnamese Army, who suffered a loss of 6,500 deaths at the hands of the South Vietnamese. 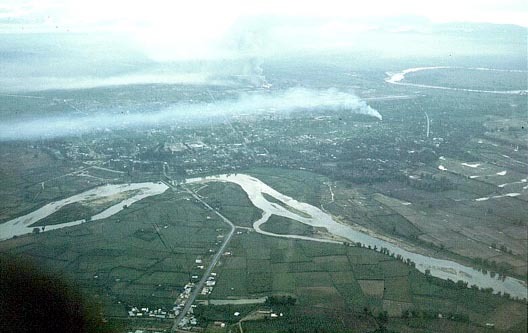 The attack on An Loc lasted from April to August of 1972, ending with the successful defense of the town by the ARVN against the invading North. The ARVN forces were provided with powerful air support from their remaining U.S. allies, who, along with the South Vietnamese Air Force, dealt heavy damage to enemy tanks and artillery. Reading Lester’s review alone, one gains great insight into the Battle of An Loc, as well as a clearer understanding of the Vietnam War, a hotly debated subject in which South Vietnam and the ARVN are almost always misrepresented.